NEW! 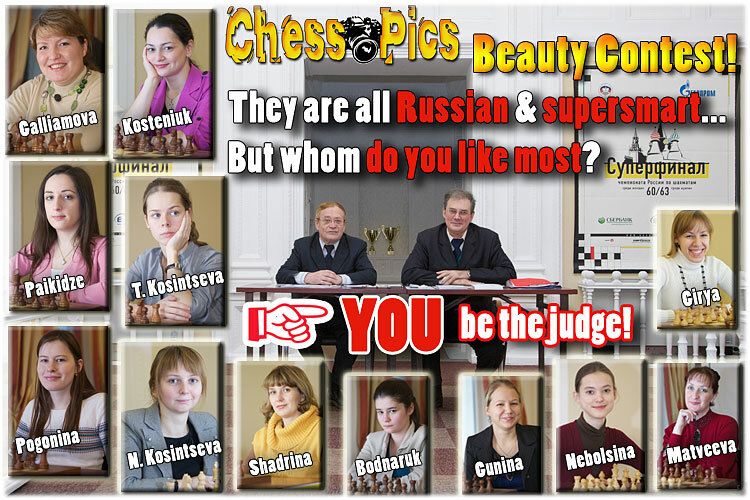 Chess Portrait Beauty Contest: The top Russian women chess players. 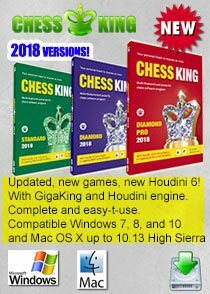 Pick your favorite, based on your subjective criteria, for example: How they play chess, how nice persons they are or seem to be, how they look. Beauty & Intelligence, that's the FULL package! 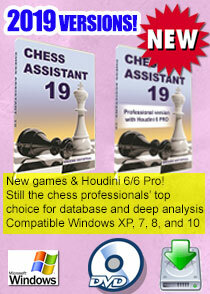 New album: RUSSIA-1 IS 2010 OLYMPIC CHESS CHAMPION! On the team: Tatiana and Nadezhda Kosintseva, Chess Queen Alexandra Kosteniuk, Alisa Galliamova and Valentina Gunina. Coach Yury Dokhoyan. The event took part in Khanty-Mansiysk, Russia and ended on October 3, 2010 (date of the photos). 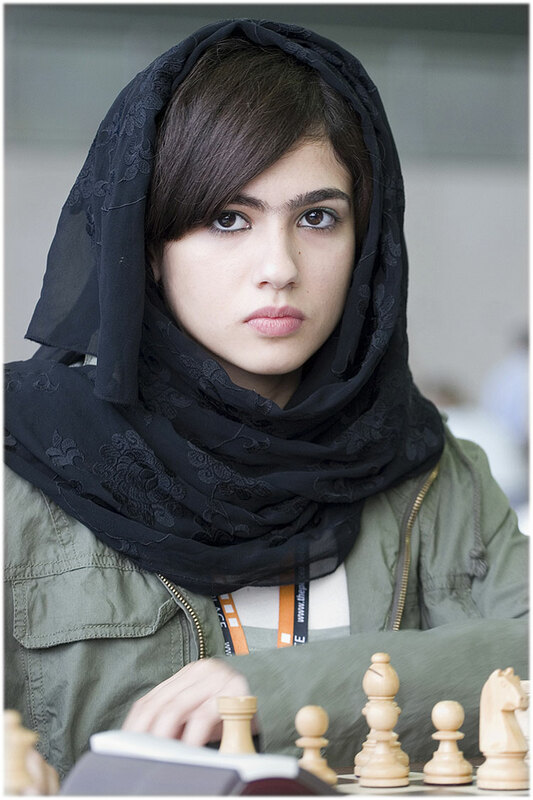 1) Alexandra Kosteniuk is crowned WORLD CHESS CHAMPION!! Feel free to rate any photo with rating of 5 being highest. The photos are © Pufichek and cannot be used on other sites without written permission. If you'd like permission to use any photo on the web or purchase a high-resolution version, simply write us an email. 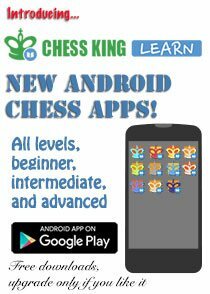 CHESS PHOTOGRAPHERS, SHARE! If you'd like to show your beautiful chess photos to the world, contact Pufichek. Questions or suggestions can be sent to us by email. 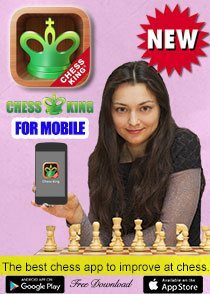 Do you watch the CHESS KILLER TIPS podcast?